You find yourself in the kitchen looking for a wine opener, and your search is proving to be unsuccessful. Suddenly, you decide there’s enough of the cork sticking up that you can pull it with your teeth. Bad idea! It’s instances like this that can cause serious damage to your pearly whites. Our teeth were never meant to be used as tools. Do they shred? Yes. Do they grind? Yes. But all of this happens when consuming our food, not opening a bag or pulling a cork. 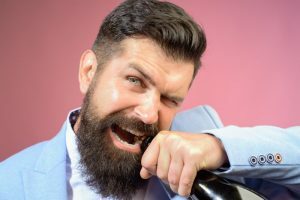 In honor of Dental Hygienist Appreciation Week, make yours smile by choosing to avoid these 6 bad dental habits. Read the One-Stop Guide for Dental Crowns in Bellevue Today! There are many devices used in dentistry today, but there are few quite as common as dental crowns. 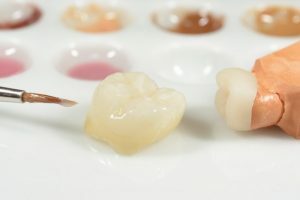 Also known as caps, dental crowns serve a wide variety of purposes. Whether you’re having a dental emergency or receiving a routine treatment that requires their use, dental crowns are an essential tool for dentist around the world. Without them, there would be a lot more oral disease and tooth loss. To learn exactly what dental crowns in Bellevue are and why you’d need one, keep reading! Comments Off on Read the One-Stop Guide for Dental Crowns in Bellevue Today!